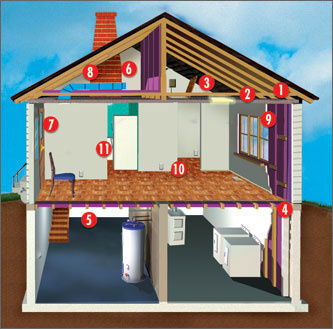 Air sealing is one of the most significant energy efficiency improvements you can make to your home. Air infiltration occurs when outside air enters a house uncontrollably through cracks and openings. Properly air sealing such cracks and openings in your home can significantly reduce heating and cooling costs, improve building durability, and create a healthier indoor environment. As an energy services company, Sustainable Services specializes in meeting all of your home weatherization needs.